"Did something die in here?" people are asking as they sniff the air in the Orchid Display House and look around apprehensively. Corpse Flower, the common name usually given to Amorphophallus titanum, could well be applied to the orchid Bulbophyllum spiesii. In a group known for grotesquery, Bulbophyllum spiesii and B. grandiflorum are among the most lurid. 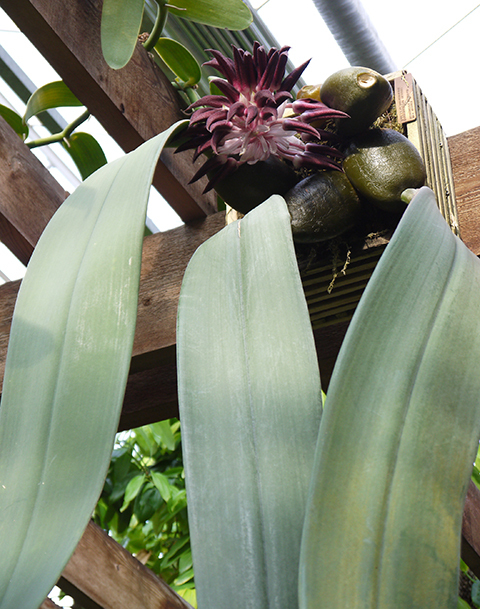 Contrivances for luring fly pollinators--foul odors, carrion colors, slime, hairs, spots, hinged lips are common in the genus Bulbophyllum, but in these two species reach outlandish proportions. Is Mike holding his breath? 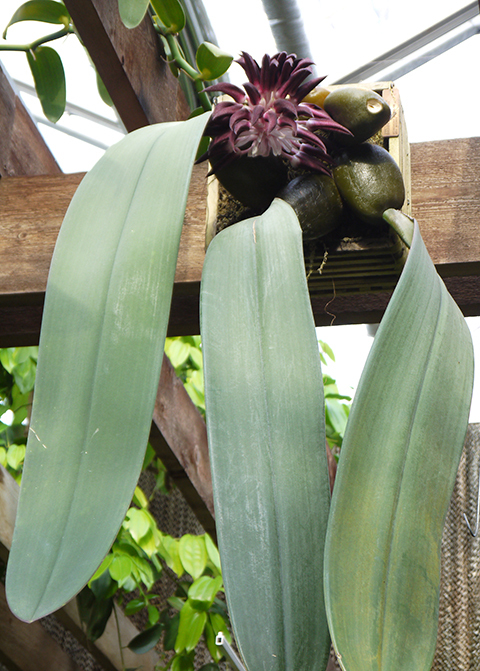 Even when not in flower, B. spiesii is an impressive plant with softball sized pseudobulbs and pendulous leaves hanging nearly three feet long. Tres Fromme, our designer, casting a glance up into the rafters observed, "Now that's a manly plant." 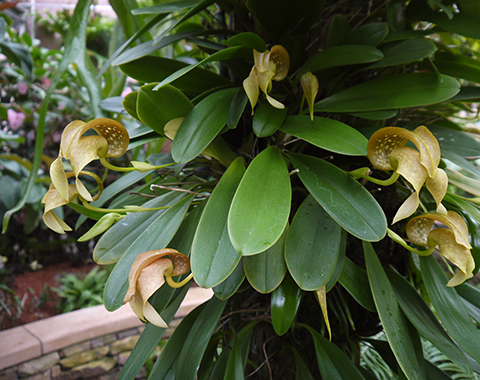 The reptilian flowers of Bulbophyllum grandiflorum have fenestrations, translucent window pane markings similar to those seen on the funnel shaped leaves of many of the insectivorous Sarracenia. 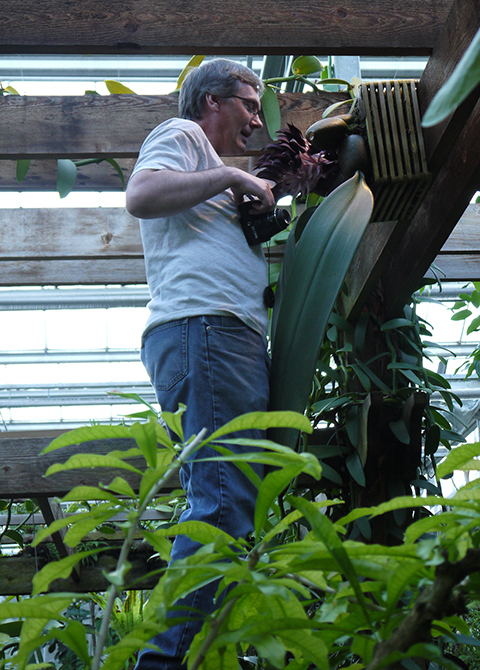 Eric Christenson noted that in some respects the genus Bulbophyllum can be thought of as a primarily Old World counterpart of Pleurothallis, both genera showing similar adaptations to fly pollination. You can see both of these orchids in flower now in the Orchid Display House.